When it comes to reaching women in technology, there is absolutely no better forum than the annual Grace Hopper Celebration of Women in Computing Conference. This conference has it all -- breaking down stereotypes and celebrating the accomplishments of women in the field of computer science, providing an avenue for collaboration and information exchange, encouraging female role models and mentoring, and building great networking opportunities. Google has, and will continue to be, a proud supporter of the conference because of its firm belief in celebrating women in computing and empowering the next generation of female tech leaders. Next week, the event will take place over four days from October 2nd-5th at the Minneapolis Convention Center in Minnesota. This year’s theme for the conference is “Think Big, Drive Forward”, and while Google is certainly no stranger to the notion of moon shots, we know that this year is bound to have even bigger ideas and surprises in store than we can imagine. If you plan on attending, we would love for you to come visit our booth (#507) to chat with Googlers, grab some swag, and take pictures at our photo booth. Join our Google+ Event to see what we’re up to and share interesting moments with us - don't forget to use the #ghc2013 hashtag! Outside of the booth, Googlers are hosting a variety of different sessions at the conference on technical topics, professional development and everything in between! We encourage you to stop by and hear from our speakers. Is it possible to work for life rather than live for work? Please check out the Conference Program Visual for the full agenda. We hope to see many of you there! , Jesus Lugo and Lisa Mauck. These IT ninjas have been trotting the globe to provide Googlers with exceptional IT support. 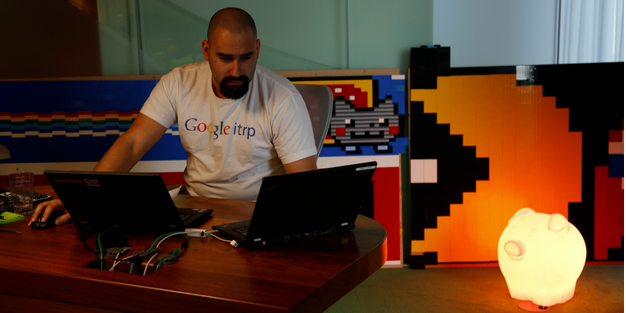 Here I am, at the Techstop in Google’s Dublin office. I’m working on a project to customize a mini computer for Googlers to badge-in to Techstops, which reduces setup time and the cost of the hardware. These units are also slightly bigger than a deck of cards, have wifi, and can be run from a battery, so they can be mounted anywhere. It’s cool to work on a project that has an impact on my team’s workload and physical space. 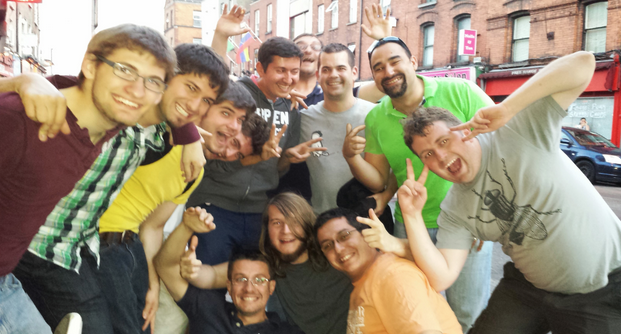 Dublin has hosted a number of IT Residents over the past few years. They held a welcome event when I arrived, which included a walking tour of this historic city. Each Techstop is different. This one in Dublin has a variety of “amenities” that make it unique - from its psychedelic decor to its impressive collection of Lego creations, including Pac Man, Zelda's Link, and a set of Imperial Star Destroyers. The layout also allows for all the techs to face each other to further promote collaboration. While on rotation in Dublin, I was afforded the opportunity to travel to other offices in Europe to provide remote support. I got to visit Prague, the Czech Republic, and Wroclaw, Poland. Touring the Prague Castle was a definite highlight! 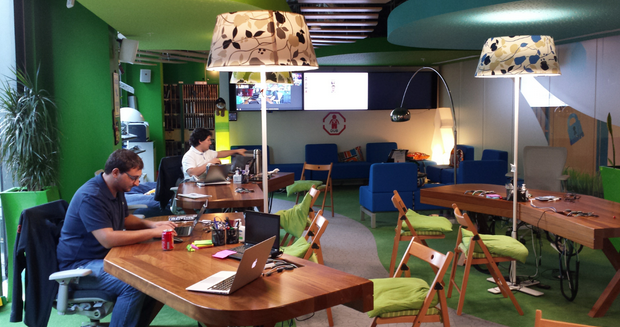 Check out this rest and relaxation room in Google’s Prague office. These spots can be found at nearly all Google offices and are loaded with books, video game consoles, arcades, and musical instruments. Most of the Googlers in this office can play an instrument seen here. They even have their own band! 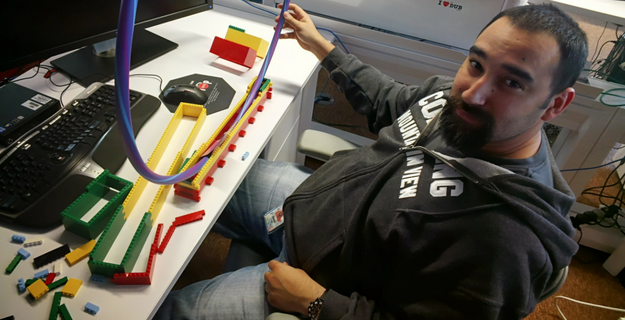 Engineering at Google takes many forms. Here, I’m engineering a stand for a hoola hoop in preparation for our challenge in the Engineering Crawl Event. The event consists of mini challenges created by the different engineering teams in Dublin, like: trace-routing your way across the world; achieving the highest score in Donkey Kong; making the best tinfoil hat; building the tallest tower out of toothpicks and blue tack; and our very own Helicopter Lego Obstacle Course! This small cache of plastic weapons is often used as a team-building activity. We split all participants into color-coded teams and break into an all-out war. After the battle is over, we usually clean up the dart mess over pizza or barbecue and refreshments. Hey students! My name is Lisa Mauck and I‘m from a small town in Michigan where there’s exactly one stop light. Relocating to Ann Arbor for the IT Residency Program was a big culture shock (in a good way!). Prior to Google, I received my bachelor’s degree from the ITT Technical Institute, and worked for a small software company as an IT technician/project coordinator. Working at Google has been an amazing experience! I’ve had the opportunity to travel to Sydney, Australia, for three weeks to work with Google’s IT team there. By far, the best perk at Google is the great people that I get to work with - from my colleagues in Sydney to those in Ann Arbor, Mountain View, and NYC. We all share a passion for working with the latest technologies and helping our end users. I hope that you enjoy some snapshots of my adventures - domestic and abroad! That’s me! I’m at my desk in Ann Arbor, working with the team to support Googlers worldwide. I typically start my day by updating any open tickets and keeping an eye out for urgent requests. Then I check in on which role I’m assigned to that day: chats, tickets, phone, quality assurance, or projects. I love the variability of the role - it keeps things exciting! We like to test our flying abilities when we aren’t busy having a nerf fight assisting users! You get kudos on our team if you can keep the helicopter from crash landing. Meet some more members of the IT Residency team in Ann Arbor! We typically spend our lunches together, which makes us feel like a family. Once a week, we also attend a CCNA class together that my team in Ann Arbor started. We’re hoping to become CCNA certified. The Google patio is pretty iconic. I tend to come out here a lot when I’m doing project-based work. Currently, I’m “dogfooding” Google’s different remote tools by comparing how they work across platforms. I then document my findings and communicate them to the appropriate teams. Outside of providing exceptional service to Googlers, the team also arranges what we call “Jedi talks.” A few times a month, we schedule a talk led by an IT Resident about a subject that they’re knowledgeable in. Similarly, other teams deliver monthly tech talks to our team. I try to take advantage of a lot of these opportunities at Google for peer learning. 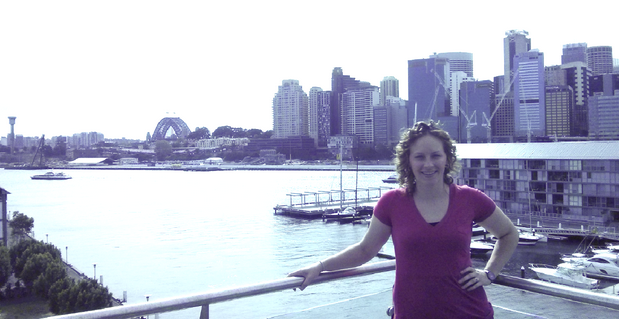 Check out this view from the office that I’m working at in Sydney, Australia, overlooking the harbour. Team members here take turns rotating weekly into the Techstop to handle in-person support issues. We also benefit from sitting close by the Google+ software engineers and the gTech team, who help us work through more escalated cases. If you’re also a techie at heart, who loves to play, tinker, break and fix, then consider applying for Google’s Information Technology Residency Program! Check out this video to learn more about the role. Seniors with at least one year of IT support experience are encouraged to apply at: google.com/jobs/students/ITRP. Ever wondered what it's like to provide IT support to one of the world's largest tech companies? Read on for a look into a day in the lives of two of Google’s Information Technology Residents, Jesus Lugo and Lisa Mauck. These IT ninjas have been trotting the globe to provide Googlers with exceptional IT support.
. We will select up to 45 bilingual (English and Japanese) MBA students to attend an all-expenses-paid summit at Google's Cambridge office on November 7th, 2013. Please review the Google Japanese MBA Summit website for more details. The deadline to submit the application is 11:59PM PST, October 6, 2013. All decisions will be communicated to applicants in October 2013. Questions about the program can be directed to students-jp@google.com. We know that students with big ideas idea can do some pretty cool things. After all, Larry and Sergey met while studying at Stanford University and opened the first Google office in a garage back in 1998. The company has since grown to 70 offices in more than 40 countries—and Google Japan continues to grow at an incredible pace. We are eager to meet future business leaders with diverse backgrounds who share our passion for technology and our healthy disregard for the impossible. So, we are excited to announce the Google Japanese MBA Summit. We will select up to 45 bilingual (English and Japanese) MBA students to attend an all-expenses-paid summit at Google's Cambridge office on November 7th, 2013. Now over halfway through my MBA at London Business School (LBS), this is my story on why I didn’t even apply for a consulting role for my summer internship (despite my previous interests), and why I’m so excited to be interning at Google. For over five years I worked as a marketer managing brands and project managing campaigns, events and product launches for some leading companies and startups in Australia. For years I was adamant that I wanted to change into management consulting. So in August 2012 when I started my MBA at LBS, it was clear that management consulting was for me – it all made sense! With the diversity of projects consulting offers, I thought this would be a great way to solidify my MBA skills, develop a broad range of business experiences, and fast track my career due to the large range and scope of these experiences. And you still need to consider the the exit options one would have a few years down the road. It was easy to be a sheep too. Although approximately a third of LBS graduates go into consulting (which includes sponsored students), around 40% of all students applied for summer consulting internships. In fact, it wasn’t until 2012 when Google became the most applied to MBA internship programme at LBS, surpassing recruiting heavyweight consultancies BCG and McKinsey. But then the mind battle began. As part of my self-assessment when I started my MBA, I collected 360 degree feedback from my previous work colleagues, undertook personality tests, and did lots of self-reflection. During this time I learnt that I prefer to be set in a long term role and focus on specialising my experiences. This is opposed to the typical consultancy environment with short term projects and jumping from one type of problem to another. I like to learn the in’s and out’s of a company, which only comes with time, and to really get my teeth into a challenge and see it through to completion. For years I had tried to break into the consulting industry and further discussions with my consulting MBA peers were re-affirming the contrast with my self-assessment. So what was the ideal career for me? During all of this, I had been on technology treks with LBS to Dublin and the Silicon Valley where we met business leaders at Google, Twitter, LinkedIn, and Zynga just to name a few. The insights I gained on these trips demonstrated just how fast the technology industry is growing which truly whets my appetite with the opportunities presented. After nearly eight months of my MBA, it was crunch time – summer internship applications were due. Although I cannot argue that consulting can be a great career path, I was forced to ask myself “Is it the best path for me?” I chose to go with my gut and ignore the consulting opportunities all my friends were applying to, despite my previous affiliations. I focused on knowing the in’s and out’s of the technology industry, meeting as many people as I could in related roles. After a few nerve wrecking months, ultimately it paid off. Redesigning our internal communication structure within the team and other teams globally. I’m really excited to help execute them. As a consulting friend of mine said, in her role she was “Always the bridesmaid and never the bride”. Here I am six weeks in and already having an impact on Google’s bottom line.. Although the fast pace and innovative nature of Google could be confused for the constant change that occurs with project work in major consultancies, there is a difference. I’ve heard how management consultancies take great pride in making you part of the team, it can be hard as ultimately there are two teams – the consultancy and the client. At Google there is no confusion. You are part of team Google and from day one your co-workers are your friends, and it is these tech passionate and intellectually driven people that really make me so excited to be interning here and glad with the decisions I made. First day on the job, and loving it! Michael Conn is from Melbourne, Australia, works in the Global Top Accounts – Tech team in the London, United Kingdom office and is an MBA2014 at London Business School. His previous work experience includes working with Clemenger BBDO as an Account Executive, managing his own marketing consultancy, and was a marketing coordinator and brand manager for Deloitte, Australia. When not cooking and having friends around for dinner and cards, he enjoys learning local customs whilst flying around Europe and getting involved in various TEDx conferences. Our 'Diary of an MBA Intern' series is designed to give you an inside look into the life of Google interns based all over Europe. Today, the spotlight is on Michael Conn from Australia, who is an MBA intern with GAGA (Global Accounts, Global Agency) in Google London. 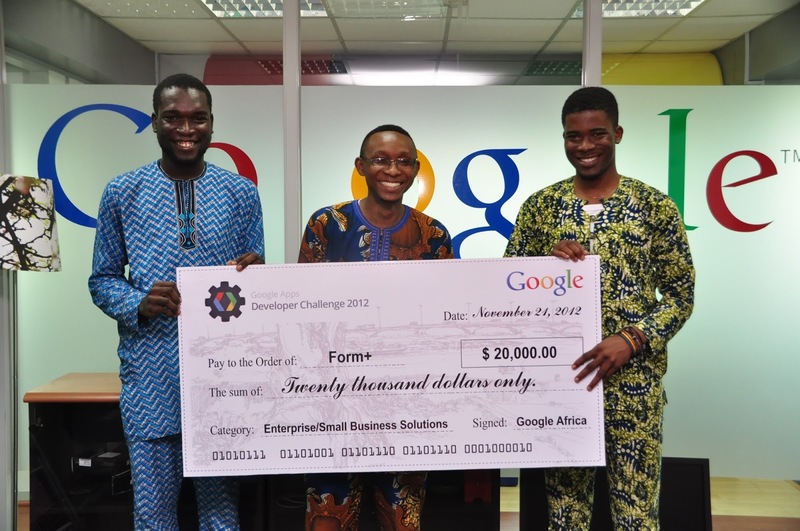 Applications now open for Google scholarships - Apply today! is open to current female undergraduate or graduate students who will be studying at a university in the United States or Canada for the 2014-2015 academic year. The Generation Google Scholarship is open to current undergraduate or graduate students from an underrepresented background in computer science who will be studying at a university in United States or Canada for the 2014-2015 academic year. The Google Lime Scholarship is open to current undergraduate or graduate students with disabilities who will be studying at a university in United States or Canada for the 2014-2015 academic year. The Google SVA Scholarship is open to current undergraduate or graduate student veterans who will be studying at a university in the United States for the 2014-2015 academic year. Applicants should be enrolled in a computer science, computer engineering, or closely related technical program, maintain a record of strong academic performance, and demonstrate leadership in their communities. Scholarship recipients will be awarded a $10,000 USD or $5,000 CAD award and will be invited to attend the annual Google Scholars’ Retreat-- a networking retreat at a Google office in the summer of 2014. The deadline for all scholarships is Monday, December 2, 2013. Apply today! In addition to our scholarships for university students, we have scholarship opportunities for high school seniors which will be made available in early 2014. Please watch out for announcements on our Google Students Blog for details. For more on Google’s scholarships please visit www.google.com/students/scholarships. We are very excited to announce our Google scholarship opportunities for university students in North America! 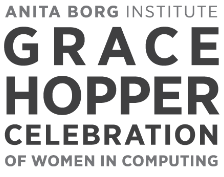 The Google Anita Borg Memorial Scholarship is open to current female undergraduate or graduate students who will be studying at a university in the United States or Canada for the 2014-2015 academic year. While most of the teaching happens in the classroom, lots of learning happens outside the classroom walls. Pursue your passions and go beyond the classroom by getting involved in STEM organizations, working on personal projects, attending hackathons, participating in code jams and just doing things you truly love (sports, music, bands, etc.). Team-oriented projects are especially helpful in building leadership and collaboration skills, which prove to be essential in the workplace. Google’s Tech University Programs team takes on the myths many students have about getting involved outside of the classroom! Myth #1: My campus/community doesn't have any CS related clubs, so there's nothing I can do. Reality: False! Why not consider starting your own club if there isn't one already on your campus? Many national groups, such as ACM, IEEE and others have resources to help you start a local chapter on your campus. Myth #2: The more clubs I join, the better. Reality: It's great to get involved in a variety of clubs and areas of interest, but it’s also important to detail your leadership experience, the impact you have had on the organization, or creative approaches to solving problems. Did you boost marketing efforts and double the size of active members in the club? Did you start a new program or activity for your organization? Did you think of unique ways to partner with your faculty, community, and other clubs? List it on your resume! Myth #3: I can't be involved in any extracurriculars that aren't about engineering, and I certainly can't list anything else on my resume. Reality: Showing you have a well-rounded set of interests is important, especially if you took a leadership role or did work in the community. Also you never know what your interviewer's interests are--you might bond over your participation in orchestra, chess, or the swing dance club! Get started! For ways to get involved with Google, check out [Google CodeJam, CSSI, Chrome Academy, Android Camp, links to other tech programs here.] Program applications open in the Winter/Spring. Keep your eyes peeled! It’s that time again! Pack up the swimsuits and put on the backpacks - back to school we go! We had a packed, productive summer and and hope you did too (whether that means interning, summer courses or Netflix marathons). We know that starting a new semester is refreshingly exciting for some and not so much for others, so we’re stepping in to help make that process easier in our Back2School series for technical students! Over the next few weeks, we’ll feature topics to help you navigate your college journey and prepare you to take the next steps into a career (or discover it for the first time). We’ll also include a Mythbusters segment in each post to tackle the most common misconceptions and set the record straight for our students! Better Know a District, we’re bringing to you “Better Know an Intern!” The series will introduce you to our interns across the globe, and will get you the scoop on the impactful projects they work on, their interests and passions, and what it’s really like to intern at Google straight from the source. For our next post, meet Gavin Ovsak, an intern on the Hangouts Platform team. I'm a rising Junior at Duke University studying Biomedical Engineering and Computer Science. I'm from Minnesota and I was a Google Science Fair Finalist in 2011! Google has always been this force of good in my eyes which has been doing a huge variety of things, which altogether make the world a better place. I heard stories of Googlers who solved enormous tech problems by day and were also active in their community outside of work, and I wanted to meet them. I knew that this is where big ideas are made and grown into big impacts and that's right where I wanted to be! Being at Google has not only helped me become a far better programmer than I was coming in, but it has also helped me meet so many amazing fellow interns and Googlers! My intern project was to make an extension for Hangouts to improve production of high-profile live broadcast hangouts, giving the coordinator a lot more control options. I went from absolutely no code to about 6000 lines over the course of my summer and I was able to ship to key partners who liked it! During my internship I also made sure to contact a couple people across Google with some ideas I had for various products, and I was really happy to find out that people were interested in hearing what a random intern had to say! My most exciting moment as an intern was going on an off-site outing with my team to go play "Whirlyball". Whirlyball turned out to be bumper cars with a twist where you form two teams and pass a whiffle ball around to try to hit a scoring panel on the other side of the court! It was super fun and I got to know my team really well. Also, I was really excited when Chris Messina (Inventor of the Hashtag!) posted a big comment on one of my posts on Google+. Probably my biggest thing at Duke is being one of the organizers of the TEDxDuke annual conference, which brings in Duke students or grads who are doing amazing things to give a short talk about their work and their big ideas. I'm also a Keeper on the Duke Quidditch team and before you laugh, I assure you it's a very tough position. Our team went to the IQA (International Quidditch Association) World Cup freshman year and competed against the 100 teams there. It was epic! Googleyness is a hard attribute to define, but I've seen it firsthand and I want to spread it! No idea is too crazy to be tried and no helpful action is too small to be worth it. I've seen Googlers from interns to full timers, right up to Larry himself, faced with tough decisions that do the right thing for the users even when it is the much harder path. The interview process can seem daunting, but it's totally worth it. Also, a lot of people warned me beforehand that my chances were slim because only a small percentage of people who apply to Google get in. However, I know from talking to Googlers that the application process is not a lottery. Google hires those who work hard and are qualified. Personally, I love the fresh cookies that show up everyday in Google Kirkland promptly at 3pm. My team always goes down to get them and often grabs some self serve froyo along with them. Caption: The Seattle/Kirkland Interns had an awesome thrift shop themed boat cruise night and you can see me here in my Willy Wonka themed getup! It’s intern season at Google! Interns are located at offices all across the globe, and represent a broad diversity of backgrounds, concentrations and interests. So inspired by Stephen Colbert’s Better Know a District, we’re bringing to you “Better Know an Intern!” The series will introduce you to our interns across the globe, and will get you the scoop on the impactful projects they work on, their interests and passions, and what it’s really like to intern at Google straight from the source. Time to show what you can do with Google Cloud Platform! This sets the stage for the very first Google Cloud Platform Developer Challenge. We’re inviting you to build locally relevant web applications that solve real world problems. You will have the opportunity to “WOW” the world with your awesome web application built on Google App Engine using Google APIs like the Google+, YouTube and Maps APIs. Do you want to start hacking out a cloud based web app now and you need pointers and hints? If yes , then the Google App Engine tutorial is a good place to start. If your application is judged the best in your region, within one of the two categories mentioned above, you could win a prize of $20,000! We are devoted to raising the next generation of information technology experts as well as encouraging diversity among software developers. In line with this, we have special prizes for all-female teams -- $2,000 and $1,000 dollars for ‘all-student teams’ that make the second round. Any ‘all female student team’ that makes the second round will receive a prize of $3,000. There are also prizes available for those who are interested in mentoring contestants. What are you waiting for? Register your gcdc2013-.appspot.com - apply for $2,000 worth of Google Cloud Platform credit atcloud.google.com/starterpack using the promo code: gcpdc-in, and start hacking with Google Cloud Platform! Tell us a little bit about how you first got interested in computer science? I had absolutely zero exposure to computer science before I got to college; I thought I was going to be a political science major. My first semester, I only got into one of the four classes I had originally wanted, so I had to use my backup plans, and introductory CS was my second backup. I adored the class; I hadn’t realized that I could take logical thinking, which I’ve always loved, and apply it to making cool, useful programs. Halfway through the semester, I found myself doing my CS problem set to procrastinate on readings for my political science class, and I realized I should probably reevaluate my major plans. Tell us about your path to a full-time software engineering role at Google? What inspired you to initially apply to Google? I’ve always loved Google products... long before I worked here, I convinced my family to switch to Chrome and use Gmail and Google Docs. I wanted to do an industry internship after my junior year, so I applied to lots of places, including Google. I was a little surprised when they emailed me back! After my internship, I got the chance to convert to full-time. I got offers from other companies too, but I was really excited to come back to Google; I’d had an awesome summer. Were there any particular classes, clubs, and/or activities that you participated in during college that you found especially helped prepare you for an internship/job in the tech industry? The most helpful thing I did was research. Wellesley has a Human Computer Interaction lab that I joined at the beginning of my sophomore year. Working in the lab let me work on much larger projects than I had seen in my classes, and gave me a much better sense for how to work on a team and deal with a large code base that wasn’t my own. Plus, the projects I worked on were really interesting–applications for tabletop touch screen computers that make scientific research more accessible to students in introductory science classes. I know you attended a small liberal arts college. Do you have any suggestions for current students at similar types of colleges who may be interested in pursuing opportunities at Google? Don’t be afraid! I was worried my classes were too theoretical; I knew people at other colleges who were learning things directly related to software engineering, while I was doing theoretical, non-useful computer science. But that hasn’t held me back; I’m able to learn new skills quickly when I need to. Another tip: liberal arts colleges often have strong alumni networks; it can be helpful for finding a job, at Google or anywhere else, to reach out to an alum who works there and talk to them. What’s your favorite Google memory or ‘Magic Moment’? This is my second year in the Google laser tag league. We play in between two Google buildings, where we hide behind trees and come up with strategies to draw out the other team. Sometimes other Googlers wander through, unaware that anything is happening... and other times they notice the engineers laughing and shooting at each other. It’s fun, exciting, and silly, which is exactly what I expect from working at Google. 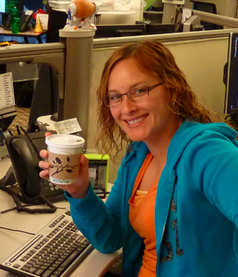 Today we’re featuring Michelle Ferreirae, a Software Engineer on the G+ Notifications team based out of Mountain View. Michelle joined Google full-time in late June, but she made her debut at Google last summer as a Software Engineering Intern on internal tools. Michelle is from San Diego, and graduated in May from Wellesley College in Massachusetts with a B.A. in Computer Science. we’re bringing to you “Better Know an Intern!” The series will introduce you to our interns across the globe, and will get you the scoop on the impactful projects they work on, their interests and passions, and what it’s really like to intern at Google straight from the source. For our next post, meet Lamar Gary, an intern on the Online Partnerships Group team. Fun fact: After moving into my humble abode in San Francisco near Chinatown, I named it the Castle of Shaolin. I’m fascinated with the intersection of Black and Chinese culture (i.e. blaxploitation and kung fu films, hip hop, and the idolatry of Bruce Lee). The name stems from the film The 36th Chamber of Shaolin, which inspired the title and most of the samples on the Wu-Tang Clan’s album Enter the Wu-Tang: 36 Chambers. It was almost a no-brainer to don my self-proclaimed castle with the name. I chose Google because of its amazing company culture and innovative approach to solving problems through technology. Working in a fast-paced environment, where people are constantly thinking of ways to solve big problems differently and efficiently (e.g. bringing Internet access to more people around the world through a network of high-altitude balloons), is inspiring. I wanted to work at a company that wasn’t afraid to tackle big challenges and do the unimaginable. Google has taught me the importance of being able to balance a challenging workload while pursuing causes and activities that help me grow outside of the scope of my job. I believe your personal experiences are contributors to your success, which is why having fun outside of work is important. You learn so much from your experiences, especially since many of them require you to step outside of your comfort zone and try new things. For instance, I started to adventure through the Bay Area to find small mom-and-pop restaurants that serve up some of the best ethnic cuisine. Somehow I always end up in a conversation with my waiter, who’s typically an immigrant or a first-generation American, about their story, their history, and how they landed in the U.S. and the Bay Area. Those conversations help me better understand the diversity around me and make me a better global citizen. Google values that perspective. It allows you to bring a fresh point of view to the table and makes you more Googley. At Google, I bring my perspective into the conversation and apply my analytical skills to solve big problems and influence business strategy. In addition to my core work duties, I cleaned up Emma Prusch Park with other Googlers for GoogleServe and I represent BOLD interns at multiple University Programs events, such as BOLD Immersion for Freshmen. Midway into my internship, I demoed one of my deliverables, which was a risk assessment tool, for my manager’s manager. He was in awe with the impact it could have on the entire organization. He told me my work could help grow 10% of the global business. All of a sudden I realized my internship wasn’t just about completing a project. I had an opportunity to drive impact that will continue after I leave. Executive Director of the USC Black Student Assembly, Undergraduate Student Government, USC Honorary Degrees Committee, Google Student Ambassador. This summer has been all about navigating ambiguity and synthesizing data for actionable decision making. At times it can be daunting with so much uncertainty and loads of information. In the end, you learn a ton. I’m taking my learnings from this summer back to school and beyond. 6. Any advice for students interested in being a Google intern? Get involved with projects that challenge you to solve problems and take action. The experience will help you achieve success as a Google intern. That’s easy! Blueberries and chocolate. NorCal’s blueberry season begins in June. Micro-kitchens are always stocked with fresh blueberries during the summer. To satisfy my sweet tooth, I grab a bowl of blueberries and a chocolate square. It’s intern season at Google! Interns are located in offices all across the globe, and represent a broad diversity of backgrounds, concentrations and interests. Inspired by Stephen Colbert’s Better Know a District, we’re bringing to you “Better Know an Intern!” The series will introduce you to our interns across the globe, and will get you the scoop on the impactful projects they work on, their interests and passions, and what it’s really like to intern at Google straight from the source. It’s intern season at Google! Interns are located at offices all across the globe, and represent a broad diversity of backgrounds, concentrations and interests. Inspired by Stephen Colbert’s Better Know a District, we’re bringing to you “Better Know an Intern!” The series will introduce you to our interns across the globe, and will get you the scoop on the impactful projects they work on, their interests and passions, and what it’s really like to intern at Google straight from the source. 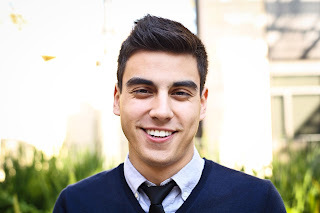 For our next post, meet Robert Mata, a Senior from Stanford University. He is a Science, Technology, and Society major (Policy concentration), two-time People Operations intern, and Google Student Ambassador. Fun fact about Robert: He stumbled his way into the semifinals of his first Quickstep (a faster paced alternative to the foxtrot) competition while studying abroad at Oxford University! Google was so compelling as a potential workplace that it was second nature for me to apply to be an intern when I became eligible. Though the perks and welcoming culture are now the stuff of legend, I was also greatly excited by the sheer number of opportunities Google had to offer. As someone interested in working for technology companies, but with limited interest in a purely technical role, it was intimidating to search the Silicon Valley for non-technical positions. Google’s Building Opportunities for Leadership and Development (BOLD) internship program was definitely the answer for me. I was drawn to BOLD due to the team’s encouragement to explore while interning, and perhaps an opportunity to transition between functions later on. Though I applied to the program with prior experience in marketing, I indicated that I was also interested in People Operations. When they placed me in New York City for my first summer internship with the Sales Staffing team, it was an offer I couldn’t refuse. I babbled my acceptance on the spot. Interning at Google has impacted me in a number of ways, the most prominent of which is a greater understanding of the technology sector both within New York City and Silicon Valley. As my first internship had me staffing and recruiting sales-related positions, I interacted with candidates from virtually every large company New York City had to offer. I learned the ins and outs of Google’s unique approach to recruiting, resume building, screening, and interviewing, so I was well prepared to apply for my next internship. Helping hire Google’s core sales force boosted my professionalism and career scope greatly over the summer. I grew immensely as an independent adult as well, for that was my first summer living in New York City. I’m currently interning in a generalist Human Resources Business Partner role in Mountain View doing research and analysis, and developing presentations, recommendations, and programs for the Google Fiber organization. As a smaller branch of Google, Fiber’s close-knit structure and collaborative culture have allowed me to interact with every function within Google to best assess business needs. One of my projects requires the production of a product and organization overview video, which permits me to extend every bit of creativity I have. I also work in San Bruno at the YouTube office occasionally, helping out on HR initiatives where appropriate. It’s empowering to know that my decks, programs, and other deliverables will be at Fiber and Google long after the end of my internship. My magic moment occurred at one of the earliest points of my Google experience. The day after my arrival in New York City (and day before the first day of my internship), Google was forming one of the largest marching contingents at NYC Pride, and I signed up. Though I was completely new to Google, New York City, and even Pride (this was my first Pride parade), I quickly made friends with other Googlers who would later become my core group of friends for the summer. As I’m from a particularly conservative part of California, I had never seen such displays of support, encouragement, and unconditional acceptance, nonetheless from new co-workers and mentors. That magical feeling of openness and joy defines my Google experience to this day. I've been involved in a number of student government positions since my freshman year, including Frosh Council. The connections I made during Frosh Council introduced me to a friend who I would later co-found a nonprofit with. Two other Stanford students and I created Photography Competing to Receive Support (PCTRS), a competition aiming to increase diversity within the fashion industry and raise funds for trans and women's health clinics in the San Francisco Bay Area. On campus, I also work with the Safe and Open Spaces panels, which brings honest discussions of LGBT issues to various dorms and frats around school, and Project Motivation, which brings high schoolers from underrepresented areas to tour and panel Stanford life. I've also worked at the Bing Overseas Studies Center since I was a freshman, which has given me excellent work experience and amazing friends. I started rowing and dancing quickstep while studying abroad myself, and am looking forward to practicing both senior year. Having worked in the New York City, San Bruno (YouTube), and Mountain View offices, and visited a London office, I have a fairly solid understanding of Google's expansive reach and influence. I am humbled by the scope of the projects Google has let me undertake as an intern, but am also grateful to be given so much responsibility and have gained an appropriate amount of professional confidence. While there are concrete skills like effective Google Doc and Calendar use, I will also leave with a much greater appreciation for the relationship between technical and non-technical roles, which is certain to be a valuable skill at any modern company. Another key takeaway is my role as a campus ambassador this year, which will have me communicating my knowledge of Google's structure, mission, and products to Stanford's campus. Anything and everything I've learned at Google thus far will be useful in that role. I would suggest starting early, as Google has a comprehensive set of programs (including Computer Science Summer Institute, BOLD Immersion, and AdCamp) that I wish I had taken advantage of before applying to an internship. I joined Google my sophomore year at the suggestion of Leadership Enterprise for a Diverse America, a partner program that I’ve been involved with since high school. However, there’s no need to worry if you, like me, express interest midway through college. Personally, I feel it’s most important to demonstrate attributes like outstanding ability, versatility, dedication and heart. All of these evince passion, which really drives the company forward on every level. I’m convinced that I should be a product marketing manager or promoter for the Avitae caffeinated water, as I’ve introduced it to so many people both inside and outside of Google. I’m most enthusiastic about the fact that it doesn’t make me hyperactive like energy drinks or yellow my teeth like coffee or soda, which is brilliant. It’s also a great pick-me-up when discreetly mixed with orange juice!